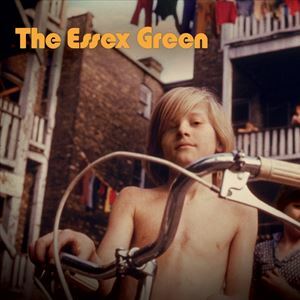 THE ESSEX GREEN are a neo-psychedelic pop outfit from Brooklyn, NY, via Burlington, VT. The band is primarily composed of songwriters Jeff Baron, Sasha Bell, and Chris Ziter and specialises in a classic sound inspired by 1960s–1970s pop and folk in the tradition of bands like The Left Banke and Fairport Convention. The group’s new album ‘Hardly Electronic’ was released through Merge last summer and is stacked with harmonies, upbeat melodies telling melancholy tales, layers of keys, and sparkling Telecasters. Their time-honored custom of fusing obsession with spontaneity has been refined through experience and wisdom. ‘Hardly Electronic’ explores the evolution of old friendships, the sadness of losing touch, the inadequacies of technology, and finally, the desire for reconnection with songs like “Bye Bye Crow” and “Slanted by Six.” Themes of connectivity are on display in the war cry chorus of “Don’t Leave It in Our Hands,” while songs like “Bristol Sky” and “January Says” hint at how the same technology-connected culture can create division and distance, even in the most personal of relationships. On the flip side, the wonders of technology (and jumbo jets) made the recording possible. With Chris and Jeff in Vermont and Sasha living in Montana, finding ways to work together was challenging. The result is classic Essex Green sonic diversity.